It’s a rare and timeless moment, a moment of grace, a drive-off-the-road-and-stop-the-car kind of moment. A time to turn off the engine and listen. It’s not something people do a lot of anymore; even when people listen to music nowadays, usually it’s while doing many other things. But music like this – and sung by singers like this – well, it’s worth taking a moment. This is something inspirational, something brave and new. It’s called Goin ‘ Home. It sounds wrong, somehow, to characterize this as a celebration of death, but that is what it is: a celebration of the natural grace of death in our lives. It’s about rising above the fear all humans share regarding this final transition. It’s a cycle of songs about the enduring spirit of man, the spirit that lives on beyond our bodies do, the eternal spirit that exists beyond the easy grasp of words, but lives always in music. 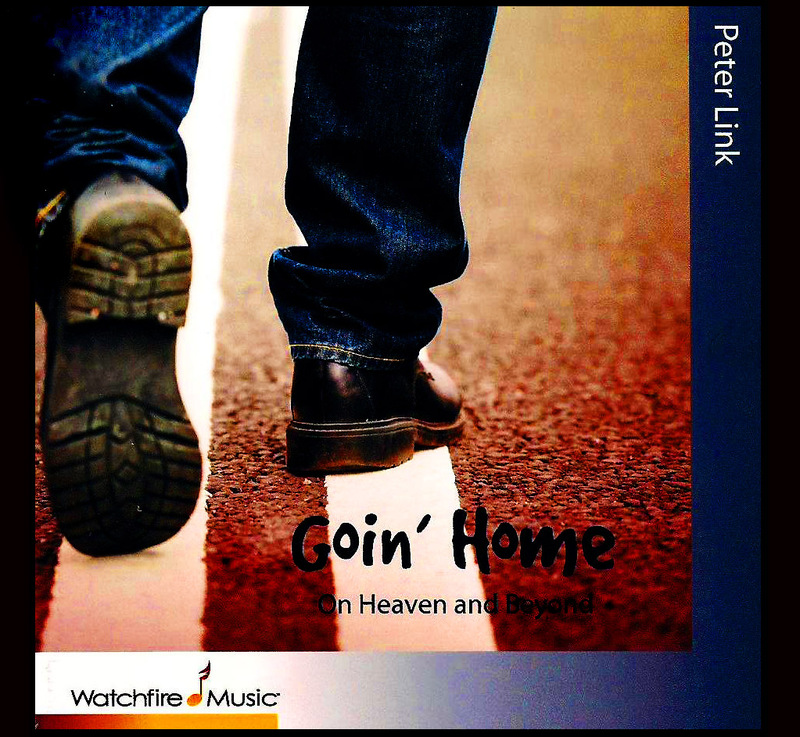 The brainchild of Tony Award-nominated songwriter-producer-singer Peter Link, Goin’ Home is a phenomenal celebration of life really, more than death itself – but within this cycle there exists an elegant and inspirational acceptance of death, and ways by which we can realize a true acceptance of death. It’s an album which crystallizes the idea that death is not the end, but a birth into the beyond. 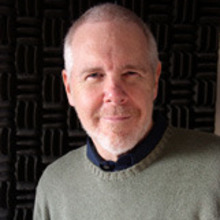 Bravely creating a whole song cycle on a subject that few, with the exception of Lou Reed and Jacques Brel, have approached so fully, Peter Link has created a remarkable exploration of human finality, reflecting musically the full gamut of emotion experienced by those approaching death and those caring for and ultimately losing loved ones. There are sad songs here and joyful ones, and it’s in that span of emotion that the genuine experience of death comes alive. This is not an easy road to walk, but Link’s songs and spirit go a long way in making you feel less lonely walking it. Because as well all know, no matter how progressively spiritual one’s ideas about death might be, when the time comes – either for a loved one or for yourself – it’s frightening. It’s more frightening than anything, an encounter with the unknown in the most extreme way humans experience. This collection of songs is directed at those at death’s door, forced to integrate lifelong beliefs with an acceptance of the inexorable reality of this transition, and also directed at those forced to confront one of life’s toughest challenges: helping loved ones make a peaceful, fearless transition. I’ll admit this album came at a time in my life when I am dealing with this subject, unfortunately, a lot, and just days after I learned of the death of my dear friend, Mandi Martin, a legend in the L.A. music community. Mandi was a friend for many years, and though she fought it, ultimately succumbed to cancer. The L.A. music community, in a way I have never before witnessed, stopped their own business just to flock – in person and in spirit – to her bedside, to help her make this transition. Along with some of my dearest and oldest friends, I stood at her bedside and sang songs. Mere days later she was gone. A few days after that we were in her backyard, jamming on old songs and new ones, singing for Mandi. Though she made her ultimate transition, the music never stopped. So along those lines, it is a great balm, this music, a genuine comfort for those of us who have been at that bedside, wanting to comfort the soul about to depart, while already mourning. What is harder than encouraging someone to accept that they must leave, when the last thing we want is for that to happen? Death is often hardest, it seems, on those left behind. So all of us need help in this regard, regardless of how strong our spiritual convictions may be. These songs and the spirit in which they are delivered helps us to do that which most of us have no preparation for – being brave and strong for those we love as they are facing their greatest fear. Knowing our love might be exactly what is keeping that person here, making it harder for them to let go, just makes the entire equation more complex. It’s all there in the title song, with music by Antonin Dvorak and words by V. Labenske, which is performed twice here, first by the Goin Home choir featuring Darryl Tookes and Angela Clemmons, and secondly by the great Tim Tipton with a gorgeous orchestral accompaniment. The lyrics brings home the understanding that our real home lies beyond this plane, and that it is not far away, but just through the “open door,” where loved ones are waiting. It is a place, most significantly, “beyond fear.” It’s transcending that fear of the unknown that is at the heart of this collection. Mr. Link has an evident love of the human voice – as throughout this album there’s a veritable profusion of wonderful lead and harmony singing – created by surrounding himself with some of New York’s greatest singers. He’s built his own choir for this undertaking – and it’s a great one, featuring singers who are all astounding on their own: Angela Clemmons, Margaret Dorn, Vaneese Thomas, Jenny Burton, Catherine Russell, Keith Fluitt, Darryl Tookes, John James, and Kevin Osborne. I’ve loved so all these years. But ultimately, this journey is a joyful one. That song is followed by the infectious spiritual jubilance of “In Dat Great Gittin’ Up Mornin’,” which inverts the fabric of deep mourning into euphoria. Barry Danielian, who has performed with Paul Simon, James Taylor and Tower of Power, brings his beautiful trumpet joy to this track. His spirited, spiritual playing on “Gittin’ Up Mornin’” answers the choir’s invitation to “blow that trumpet, Gabriel” and doesn’t disappoint, exploding into a jazz jubilation resonant with human triumph, ascending as to heaven, crystallizing far beyond words an acceptance that God is in His heaven, and we need not fear. Enervated with the genuine exultant joy of the best gospel spirit, led by Jenny Burton singing with the choir, this joyful offering by James Johnson and J. Rosamond Johnson is the ideal antidote to the sense of manifest grief that lurks always in the realm of death. Link cooks up a wonderfully spirited orchestral arrangement for this, as ecstatic in its groove and great trumpet solo as the spirit of the words, which bring home, again, the understanding that death is a beginning, not an end. The title song is reprised towards the conclusion of the album by the gloriously gifted Tom Tipton, whose deeply resonant bass voice directly evokes Paul Robeson’s beautiful sorrow, containing all the weight of the world’s burdens in “Ol Man River” and other songs, but always with faith and hope that the river leads, ultimately, to a better world. In Tipton’s voice is that enduring spirit of American hopefulness. If you let it, it’ll give you chills. With a sweet, nostalgic harmonica wailing behind him, When he sings “Mother’s there, she’s expectin’ me/Father’s there, too,” you feel it. And in that moment, in this song, is the heart of this cycle, the sorrow with which all humans live at some point in their lives, the longing to be reunited with those we’ve loved and lost. It’s there in the fast tears that flow on those TV medium shows where someone’s told their loved one still loves them, and that love is not lost. You see it all the time, just under the surface of our daily discourse, all of us living with our questions for those ones lost to us. It’s an unresolved chord that plays in every human heart, the saddest story there is, and also the happiest. Having the two versions of this song in one album has the same effect of a reprise in a musical, in which a musical theme is restated, but from a different perspective, and we hear the same song in a different light. This is the reverse of the theatric convention of starting with the song sung solo, reprised later – and bigger – by the whole chorus. Here we get the choir version first, opening the album, and this comes near the closing of this show – just Tipton solo with orchestra – and the effect is stark and staggering. Again, this expression of sorrow is married to joy in the next track, a miraculous epic version of the classic Dixieland standard “When The Saints Go Marchin’ In,” written by Katherine Purvis and James Milton Black, with additional lyrics and music by Link. It’s an astounding recording, a rich orchestral track that is hard to describe with only words. Imagine, if you can, a musical gumbo which combines Copland, Sousa, Ellington and Gershwin with Lalo Shifrin, Steve Wonder and the Staples Singers, and you get an approximation of what’s here. It’s as if Link imagined what the music would be like in heaven if musicians from every genre were able to work together – something only imaginable, perhaps, in heaven. The result is surprisingly great, a wonderful testament to the pure power of musical passion, of humans striving with music to approximate the divine beauty of our world. 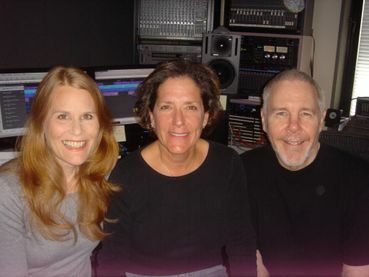 We go from the magnitude of that opus – which must have spread across hundreds of separate tracks, a remarkable “Good Vibrations”-sized achievement just in terms of mixing – let alone composing and arranging – to the understated elegance of Julie Gold’s elegiac “Come To Me As A Bird.” Gold is the writer of “From A Distance,” and so is a songwriter obviously well-suited to spiritual themes. It’s performed exquisitely by the wonderful Julia Wade, whose heartbreakingly crystalline soprano and soaring passion matches the purity of the song’s spirit. Invoking a loved one to speak from the beyond through nature – though a bird specifically – it’s a recognition, again, of the spirit enduring, and an invitation to live unafraid of that truth. Total joy is the overriding emotion one encounters when traveling down this gospel road, a great embrace of the rainbow of human experience. “Here you’ll find sadness, joy, humor, celebration and, of course, the mystical. Dive into it all with great abandon,” he suggests in the liner notes, and it’s good advice. Dive into Goin Home and you’re in for a inspirational swim in the beautiful waters of musicians making music for our souls. This is important. And it’s also a great listen. It’s as entertaining as it is inspirational, and so welcome in a world where sorrow is often so pervasive that it’s overwhelming. These are healing songs for our time at a time we need it the most.